The Coleman Event shelter deluxe or pro which is the best for you? 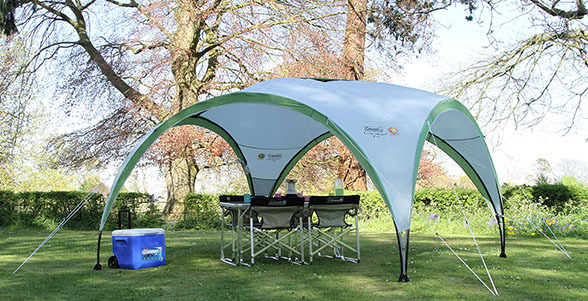 Coleman’s gazebos are one of the most popular brands in the UK, and customers found their services to be up to mark, but their Event shelter collection has left buyers questioning who trumps. There will always have a competition between two products especially when it’s from the same manufacturers, the Coleman Event Shelter deluxe and pro is no exception with the slightest improvements in durability, and other qualities determine the difference between the best and the runner-up. While the pro is cheaper than the deluxe both offer something different and picking your favorite of the two is hard especially on a budget. With this in mind, we have done the work for you by comparing the Coleman Event Shelter deluxe to the pro. Both deluxe and pro offers the same amount of fabric UV guard of SPF 50 this protects your family from the sunburn resulting from the exposure of excess ultraviolet rays. The deluxe and pro both assemble time is 15 minutes or fewer the color-coded poles and webbing ensures you pitch your event shelter correctly. They both offer roof venting for the breeze to flow through protecting you during stormy weathers and keep you fresh on those extra hot days. is fire retardant we give the Coleman props for this. The deluxe carry the weight of 28.6kg compares to the pro 17kg that is a difference of 11.6kg if you don’t want a heavy gazebo/tent then choose the pro. The Coleman tested and examined the tent ability to repel water this is important as it determines the amount of water the fabric can handle before it leaks these ratings are called the hydrostatic head. The deluxe has a 3000mm which means the 3m of water column can be placed on the surface before your tent leaks compared to the pro 1000mm -1m. Regarding waterproofing, the deluxe takes the cake. The pro is cheaper than the deluxe. 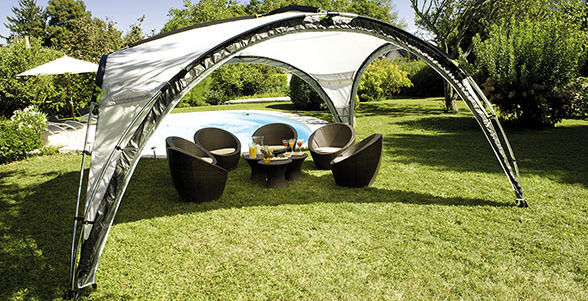 The deluxe has a higher headroom of 228cm(Center) and 190cm(sides) compared to the pro’s 218cm (Center) 169cm(sides) this means the deluxe have a larger living area of 21.16m² compared to the event shelter pro of 13.32m². The price is right on the event shelter pro, but the deluxe is the way to go why? Trust me you want a gazebo that has a better chance to survive the elements and sturdy. The deluxe offers these features, and on further inspection, I’ve noticed the deluxe steel poles looks stronger than the pro and buyers sworn by the deluxe weatherproof resistance.